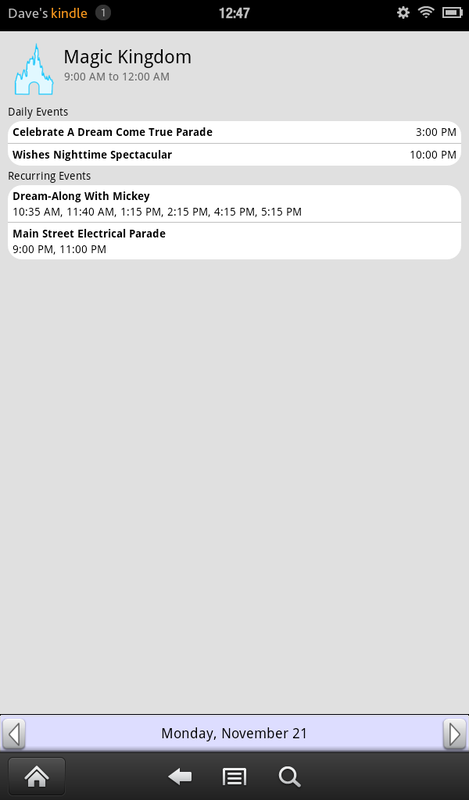 The “Disney World Park Hours” app for the Kindle Fire is very simple in design and scope. The intent of the app, is simply providing the hours of operation for the Magic Kingdom, Epcot, Hollywood Studios, and Animal Kingdom. To fill out the app a little more, they have included the water parks and events (eg. fireworks, shows) at the four main parks. You start with a basic view showing the parks and the hours of operation for the day. 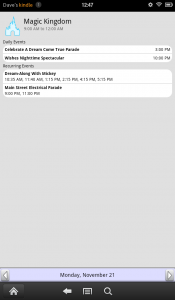 By selecting one of the parks, you are able to see the times of the different events happening at the park that day. Want to look at the schedule for a specific day? No problem! 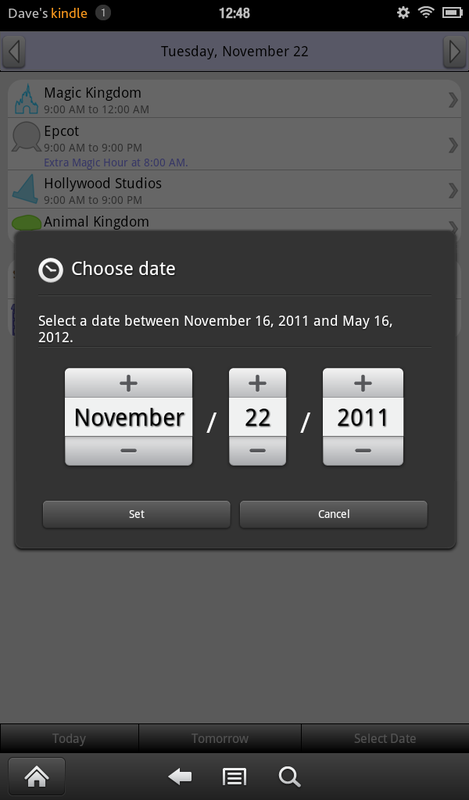 Click on the “Select Date” button at the bottom and enter your date. This is a very simple application, but the presentation is well done. A free version of the app is available, but the paid version is pretty inexpensive. I feel it might be a little much to have an entire app (especially paid) for information that can be found for free on the web, or included in other apps with more functionality.